Details: This competition is for original, previously unpublished poems in English language, on any subject, in any style up to 50 lines long. Poems posted on members-only non-public groups for review/critique as part of the creative process are not deemed to have been previously published. Poets of all ages, gender or nationality living in any part of the world are eligible to enter. 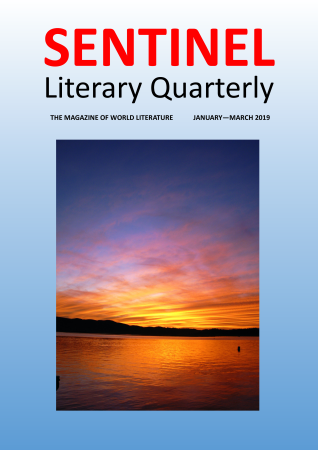 Publication: Prize-winning, commended and specially mentioned poems will receive first publication in Sentinel Literary Quarterly magazine (online and print) July-September 2019 issue. Judge: Terry Jones, lives and works in Carlisle. 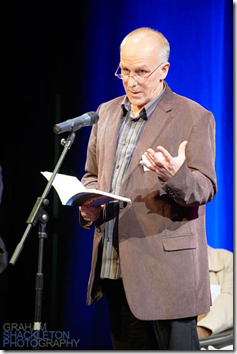 In 2011 he won 1st prize in the Bridport international poetry competition and Sentinel Annual Poetry Competition. That same year his collection, Furious Resonance , was published by Poetry Salzburg (available from there). His poems have appeared journals, magazines, anthologies, and online, including in The New Statesman, Poetry Review, Wasafiri, Iota, The North, The London Magazine, Magma, Agenda, Ambit, The Interpreters House, The Morning Star, Envoi, The Frogmore Papers, The ShoP, New Welsh Review, Planet, The Rialto, Under the Radar, Brittle Star. He has judged a number of national poetry competitions. .From the PayPal dropdown button below, select the number of poems you wish to enter. .Click on Pay Now to make the applicable payment. You will be issued a Transaction ID or Receipt Number. Make a note of this. .You will receive an automatic acknowledgement. Click here to Download Download Entry Form. 1. Poems must be in English, unpublished, and not accepted for future publication elsewhere (before the due date of results). 2. Poems should be typed and must be no longer than 50 lines (excluding title). 3. Any number of poems may be entered on payment of the applicable fees. Cheques and postal orders in GB Pound Sterling only should be made payable to SENTINEL POETRY MOVEMENT. 4. Each poem should be on a separate sheet, which should not include the name of the author. 5. The author’s name and address should be provided on an accompanying Entry Form or Cover Note. 6. The winners and commended writers will be notified by post or e-mail. 7. All winning and commended poems will appear in the Sentinel Champions section of Sentinel Literary Quarterly online and in print. 9. Poems will not be returned, please do not send your only copy. 10. If you win one of the prizes in this quarter’s competition, you will NOT be prohibited from entering next quarter’s competition. 11. If on the advice of the judge, the quality of entries is too low to produce worthy prize winners, or any other legitimate reason beyond our control arises which may affect a fair completion or conduct of the competition, we reserve the right to cancel the competition and refund all entry fees immediately by the same method we have been paid. 12. We reserve the right to reapportion the prize money if necessary in the interest of continuity as an alternative to cancellation of the competition. 13. By entering this competition, you provide some information such as your address and e-mail address which may be deemed personal information. These will be processed according to the data protection acts1998 and 2002 and GPPR 2018. We will never pass on any detail you provide in the course of entering this competition to a third party and we will never sell your data to anyone for marketing purposes. 14. By entering this competition, you agree that we may contact you by e-mail or post via our newsletter with the results of the competition, the adjudicator’s reports and information on future competitions. You may unsubscribe from the newsletter at any time. 15. Copyright of all poems submitted will remain with the authors but the Sentinel Poetry Movement reserves the right to publish all winning and commended poems. 16. The contents of Sentinel Literary Quarterly are available to read at no cost online, we are therefore unable to offer complimentary copies to poets published in the magazine. 17. Please only submit your own original work. 18. The adjudicator’s decision will be final and no correspondence can be entered into. 19. We use independent judges who do not work for Sentinel Poetry Movement or SPM publications, and we never influence their choices. 21. The submission of poems for the Prize will be taken as indicating acceptance of the above conditions. Please note: The prize money above applies to competition organised from May 2018 onwards.